It’s a big day tomorrow for the Indian markets as it’s the day of Akshaya Tritiya in India has been traditionally considered very auspicious for purchasing gold, silver, ornaments, precious stones, real estate and other long-term assets. It’s the occasion for traders,Broking houses,Banks and exchanges too who have increased their working hours for the day. Looking back to some of the agro commodities which are under review under FMC, ( Forward Markets Commission) regulator for the Indian commodities Markets. 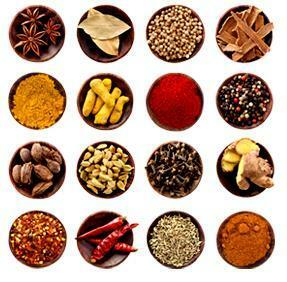 The commodities that are under review are chana, potato, soybean, mentha oil, soya oil, mustard, pepper and cardamom. I hope FMC & the ministry of consumer affairs may adopt the idea a combination of more margins and reduction in open position limits to curb volatility, rather than putting ban on the Futures.Banning futures trade “off and on” sends a wrong signal to genuine market makers and traders who opt for trading in the market with a long-term perspective and for price discovery ( unfortunately that’s a big word but price discovery should happen in the market). Here Margins refer to the amount of deposit, which a trader or a broker has to maintain with a commodity exchange before trading and open interest in a commodity refers to the total of futures or options contracts yet to be settled (meaning, not closed or delivered) for a specific underlying security. I will try to put on some views how Indians are slowly loosing our natural monopoly on the commodities and Vietnam is all set to beat India to emerge as the commodity trading hub of South-East Asia. Me voilà vraiment triste.J’ai retenu François Hollande au deuxième tour parce que je voulais croire ai changement tel qu’il était proposé et à d’une majorité irréprochable. Quelle trahison de découvrir que François Hollande choisi comme 1er ministre Jean Marc Ayrault, qui est tout sauf irréprochable ! Ce monsieur a clairement était l’objet d’une condamnation à une peine de prison pour fait de favoritisme ! Quelle déception….